Avascent on the Record: UK Defense Budget: What Could be Cut? 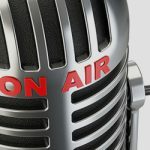 Home » Podcasts » Avascent on the Record: UK Defense Budget: What Could be Cut? UK Defense Budget: What Could be Cut? Barely one year into the UK’s defense modernization plan, Brexit’s effect on the strength of the pound means the MoD must revisit its priorities. This will result in significant program cuts to the Armed Forces as the government tries to manage significant budget pressures while simultaneously promising to ramp up Britain’s defenses. August Cole interviews Ben Goodlad on what could be cut from the Army, Royal Navy and Air Force, and future ramifications should Britain give up amphibious operations. Ben examined these options further in his white paper, Brexit’s Toll: Defence Cuts Loom as UK Looks to Reduce Budget Shortfall. Ben Goodlad is an Analysis Manager with Avascent Analytics, based in Avascent’s London office. Ben was previously a Principal Weapons Analyst at Jane’s, joining in 2007. Whilst at Jane’s, Ben specialized in the missile and precision guided weapons markets, providing analysis and 10-year market forecasts. During this time Ben was been quoted by international media regarding issues relating to weapons related topics and missile defense. For more information, contact: bgoodlad@avascent.com.